Ever had lecturers who switch slides 20 seconds before you finish copying them down? Or tried to take notes from someone speaking faster than the sales of Rihanna’s Fenty collection? Worry no more. Shorthand writing is going to save you. Even if you don’t learn an entire system, incorporating elements of shorthand into your daily life will make your life so much easier. Learn how to use shorthand writing so your hand will stop aching after long lectures. What is Shorthand, and Why Should I Care? People use shorthand writing to minimize the number of strokes they make with their pen. This makes writing a much shorter and simpler process, especially if you listen and write at the same time. A lot of people think shorthand means shortening or abbreviating different words and phrases. In reality, people who use shorthand essentially write in a different language. While shorthand systems use the same alphabet, they look completely alien to the untrained eye on paper. Not everyone loves shorthand. Every system has its drawbacks, but learning shorthand can be an exciting and productive skill. “It’s certainly possible for Millennials to get through life without shorthand. It’s just a tool, like the recording app in your phone, so you have to decide if it fits your working style,” shorthand expert Dennis Hollier said. 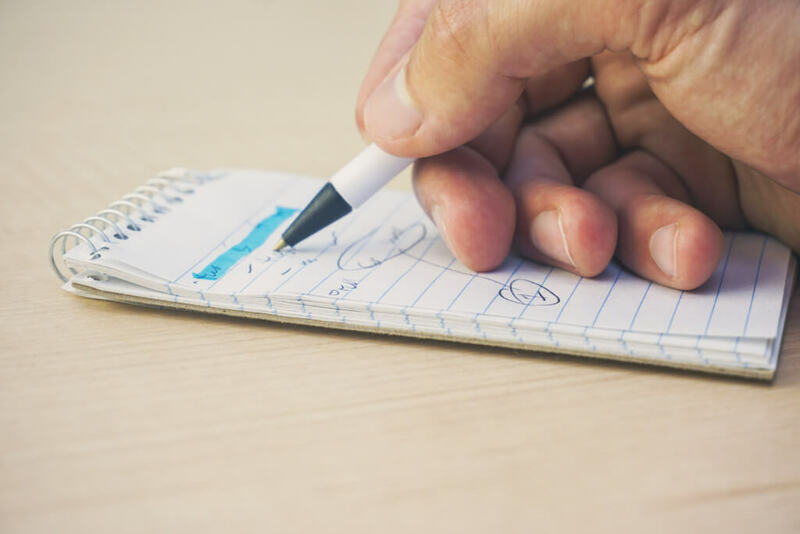 Using shorthand, provided you use a system that you understand, can instantly organize your notes and provide you with the time during lecture to keep up. There is also the aesthetic benefit. “There’s also something to be said for it as an aesthetic or intellectual concept. Well written Gregg is composed of both beautiful script, and an elegant logic that makes the whole system work. Many people find that combination intoxicating,” said Hollier. So get writing in shorthand and if you don’t do it for the lectures, do it for the #studygram. You control and modify your own shorthand system, but if you need inspiration, turn to either the Pitman System or the Gregg System. These systems work for most of the people who use shorthand. You can learn either system by finding alphabets and textbooks on the subject, and then modifying the system to suit your handwriting style. People with messy handwriting, for example, will want a system with very distinct letters, while a precise person can experiment with very delicate pen strokes. Most people in the U.S. use the Gregg system. “I use the Pre-Anniversary version of Gregg Shorthand, albeit with some modifications to make it more relevant for my personal needs,” Hollier said. 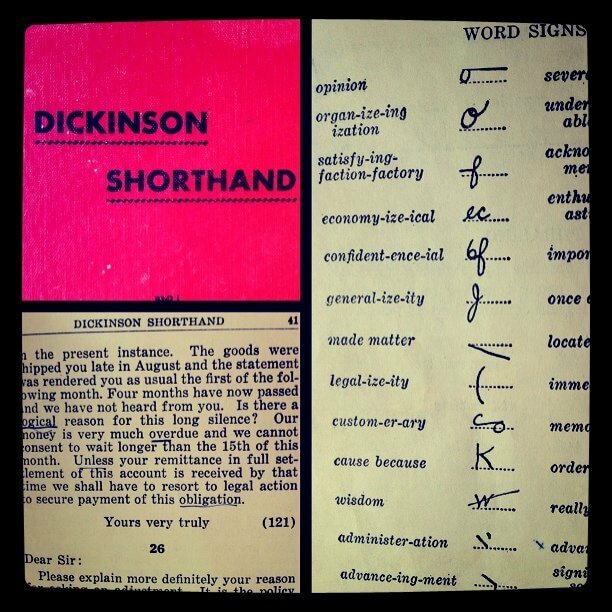 “This is one of the earliest versions of shorthand devised by John Robert Gregg in the early 1900s. This is also the version that was most used by court reporters in the days before recording machines, so it’s generally considered to be the fastest version of Gregg,” Hollier said. The Gregg System, named after its inventor John Robert Gregg, has an alphabet of pen strokes that combine to make words, although you might not be able to decipher it if you don’t know the system. 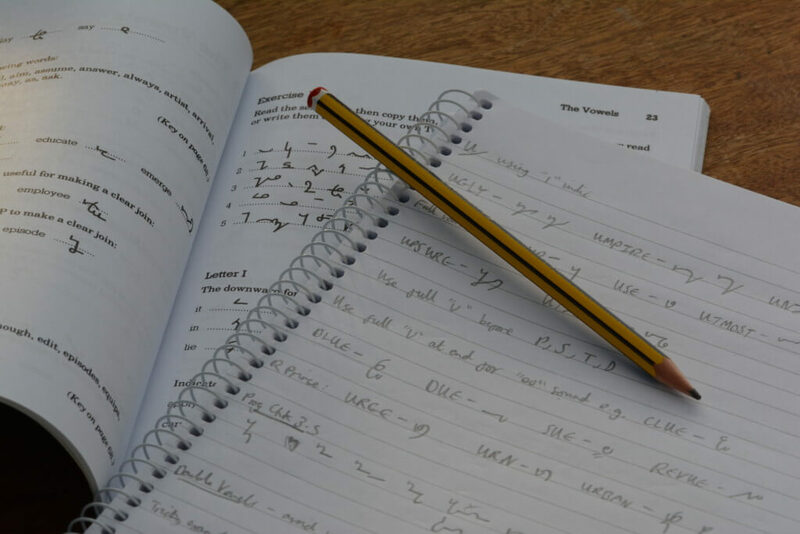 Is Learning Shorthand is Too Time-Consuming? I get it, learning a new system of writing is going to take a lot of time. By the time you’re done, you might have already graduated college. But that’s why the shorthand system is so genius—if you don’t want to learn an entirely new alphabet, you don’t have to. Shorthand is helpful for everyone because you can isolate the parts that work for you and go from there. For example, if you like the idea of the Gregg system, but you don’t want to do the whole stroke thing, make a key of important/common words in the front of your notebook, and only use strokes for those. Additionally, you could do the same thing with relevant words for each subject. This also has the added benefit of recognizing which terms are important to remember for exams. For example, if you decide that the stroke “—“ represents “dorsal striatum” (a term which comes up constantly in my psychiatry GE class), then whenever you see “—“ breaking up a regular sentence, you know to focus on that term. Imbuing words with symbols gives them more importance, and will help you decide what to focus on depending on how much you see the symbol (provided you know what everything stands for). Listening to the sounds of words in lecture will help you in coming up with your own system. Let’s take another term I hear a lot in a different class, “form.” I picture this word as a circle, because that’s how it sounds to me, but the “f’ part of it sounds like a line. So for me, the symbol for “form” becomes a line with a circle attached. I know that may sound crazy, but that’s how you work out your own system. By focusing on the sounds you hear when you write, your pen will automatically follow. Shorthand is a highly-individualized practice, and you should do whatever you find easiest. Ultimately, using shorthand techniques in lecture is going to save you a lot of time and make it easier to search through and categorize your notes. You’re welcome. Rosie is a sophomore at UCLA studying English and music industry. She is an international student from Australia who loves singing, Game of Thrones, and FaceTiming her dog Lola.